This week, Rowan turned six. We had a special breakfast table setting, gifts and balloons, toy and clothes shopping and lots of fun. I’ve thrown parties for Rowan for the last 2 years and discovered that having too big a celebration is something he finds somewhat overwhelming, so this year we took a different approach. 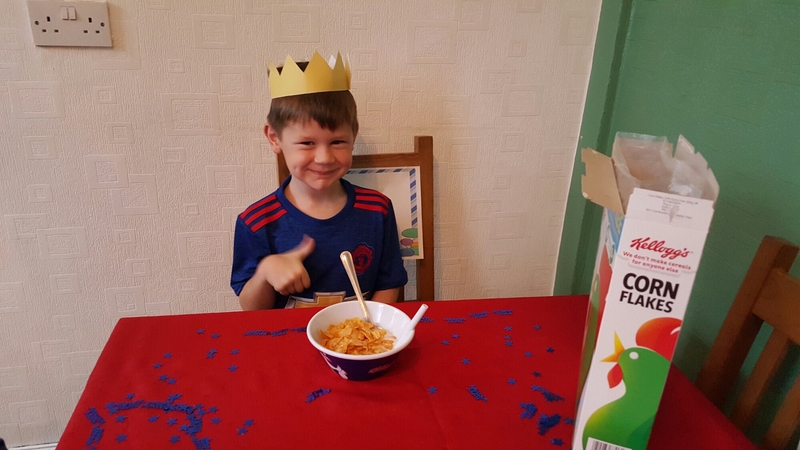 He always asks for a party but then doesn’t enjoy it so I thought a small party would be best, held at a venue where the focus wasn’t solely on the birthday child. Soft play seemed the ideal option. 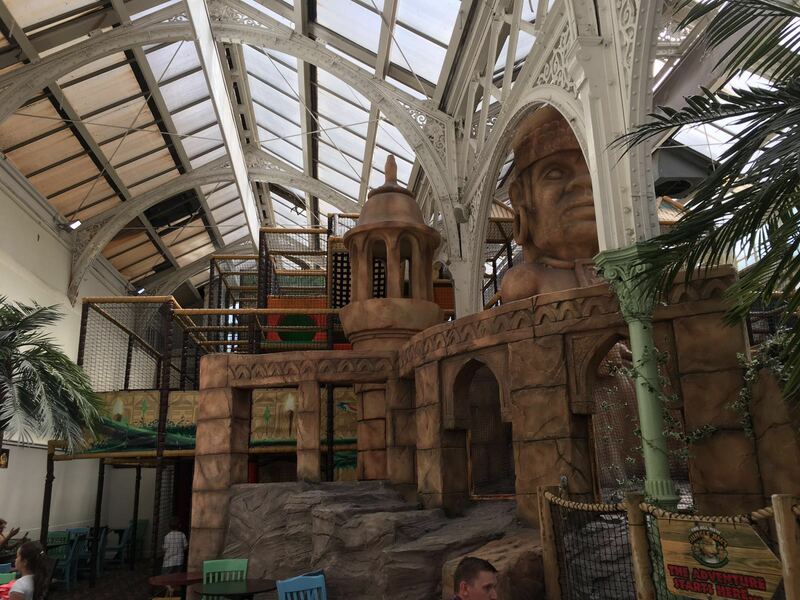 Jungle Jims at Blackpool Tower is a large soft play centre suitable for children up to 14 years old. Despite being around for many years, the facilities have been very well kept, updated where necessary and aren’t dated. 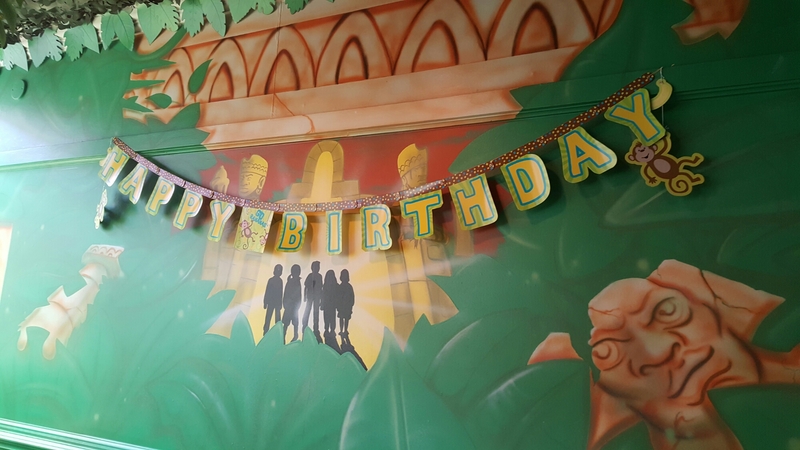 Children’s parties have been available to book for a while but their new and improved packages and party room launched this month so we went along to try them out. 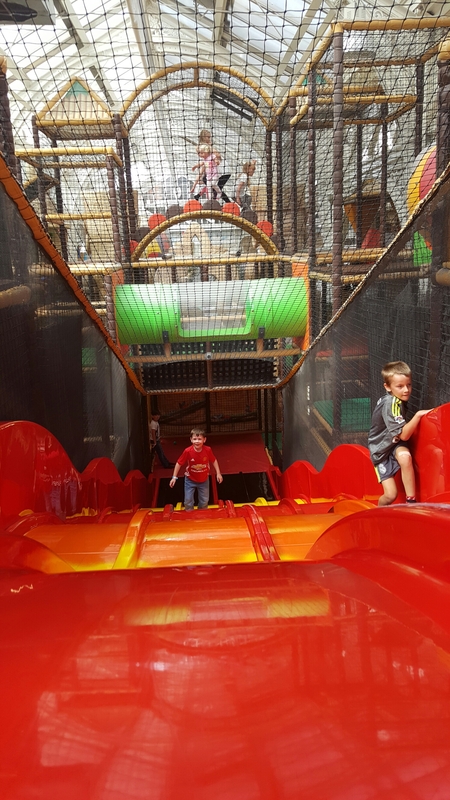 The boys had an hour in the soft play area and came out disgustingly sweaty but incredible happy. 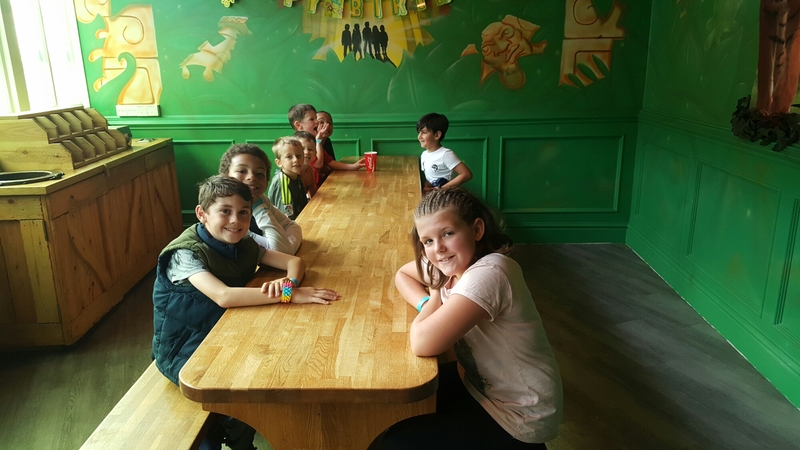 An hour was plenty of time for them to have worked up an appetite and so off we went to the newly refurbished party room for food, games and medical attention… not all of which was in my plan for the day! 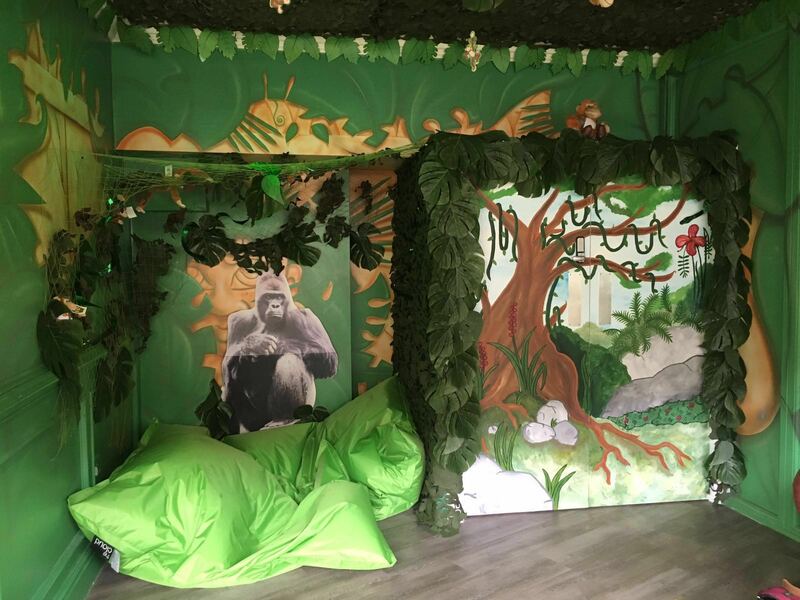 The party room is, of course, jungle themed and the children loved it. It was big enough for the 8 children we had with us and I expect with larger parties the table might be moved to one side after eating to make more space for games. At least that’s how it felt! The children had ordered their food on arrival and so we waited for just a couple of minutes for it to arrive. Food is provided by the Harry Ramsden’s branch situated on the same floor of the Tower. The kids chose sausage and chips, fish and chips and chicken nuggets and chips. 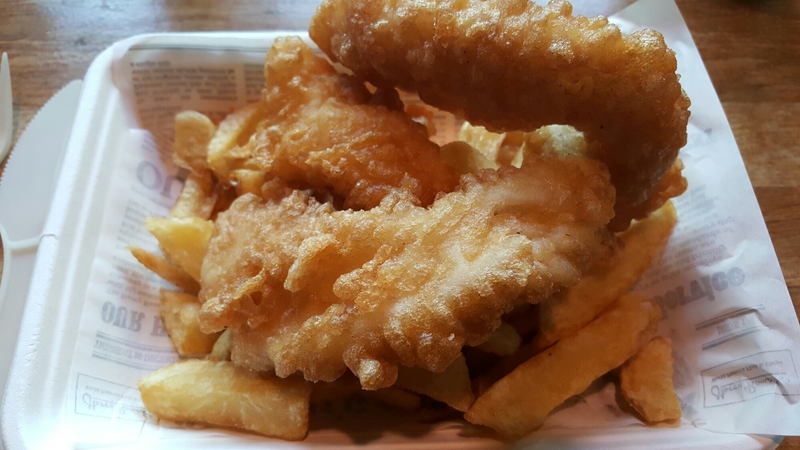 The fish and chips looked so good that we adults went to order some for ourselves once we saw the kids’ meals! Next up was a visit from Jungle Jim himself to do party games with the children. Unfortunately the boys got very excited and Rowan managed to get kicked in the eye just as Jungle Jim walked in! Terrible timing, but Jungle Jim being there certainly helped him cheer up fairly quickly. 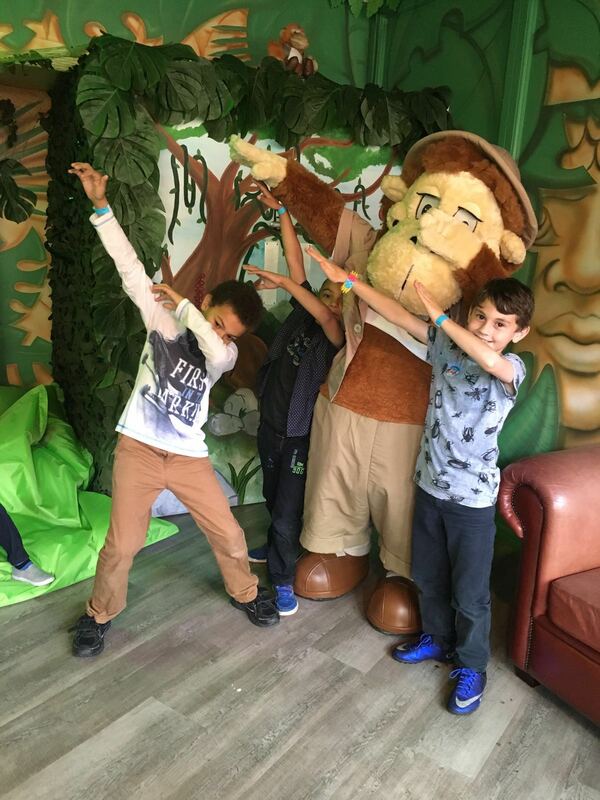 The boys even taught Jungle Jim to ‘do the dab’… which apparently is cool, but what would I know! Unfortunately, we encountered further ‘Rowan luck’ when he toppled over during one of the games and hit his head. I asked for a cold compress and a first aider was brought to the party room. He was excellent with Rowan despite the fact that Rowan wouldn’t speak to him. The relevant forms were quickly completed, a cold compress applied, Rowan was looked over and within ten or fifteen minutes he was joining in with the party again. I was really grateful for the attention and care of the Jungle Jim staff and the first aider since that was the second bump to his head within 5 minutes or so. In addition to the great care they took of Rowan, Blackpool Tower actually phoned me at home the following day to see how he was. Once the food and games were over, we took the boys up to the Tower Eye. This is available as an add-on to the basic party package and I’d say it’s definitely worth the extra money, particularly if you are travelling any kind of distance for the party anyway. There are two options – The Blackpool Tower Circus or The Tower Eye. We really wanted the circus but as there aren’t currently any performances on a Friday we had to do the Tower Eye instead. 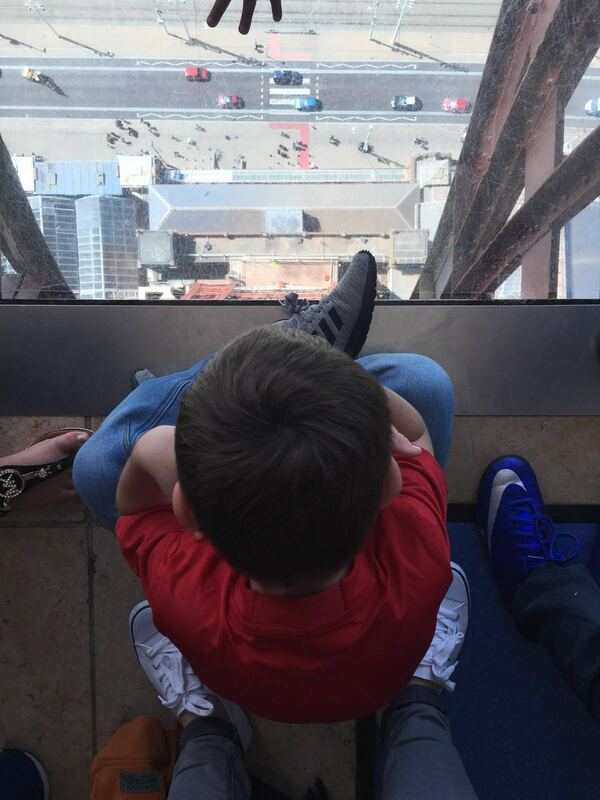 I think the circus would probably be more fun for the children and feel like more value for money, but all the children enjoyed our trip to the top of the tower! The boys were definitely braver than me! We opted not to go any further up the tower than this level, although there are stairs that’ll take you higher still. 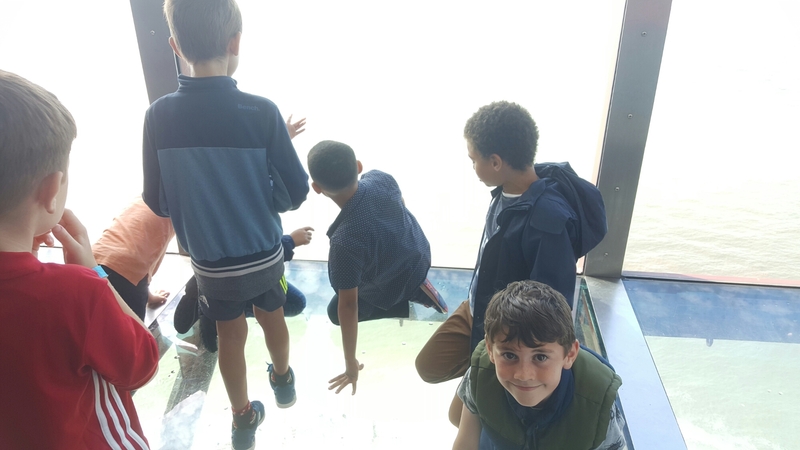 The kids were happy with the glass floor and I was certainly happy that none of them wanted to go any further up! We had a brilliant time at Blackpool Tower. Our party host, Hannah, was wonderful and there really wasn’t anything I could honestly say I would change about the day, aside from Rowan being so injury prone! 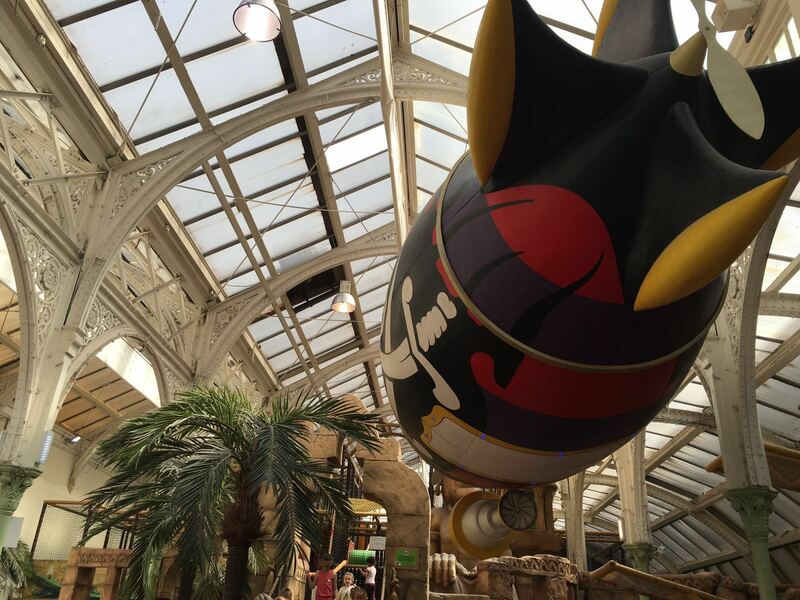 Thank you to The Blackpool Tower and Jungle Jim’s for a lovely day. For more information or to book your own party, take a look at the website here. *Disclaimer: we were offered a birthday party for Rowan in return for an honest review. Getting ready for Halloween with Blackpool Tower Dungeon! It looks fab, I have fond memories of running around Jungle Jims for three or four hours at a time back in the early 90s! I didn’t even know this existed but it looks so good and the food plus care makes it such a good day out. I really don’t want a party this year for Z and something like this would be ideal! Looks like an amazing place for a birthday party.